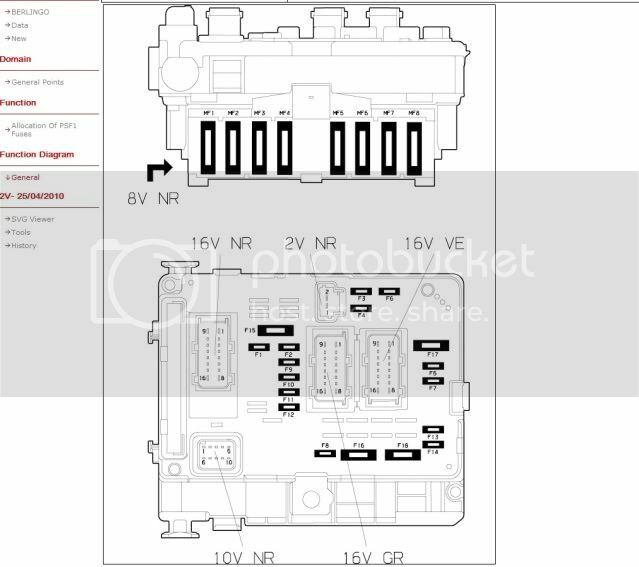 These are the list of engine bay fuses for a new shape berlingo...if you want the exact wiring diagrams/fuses send me on your vin number. (28-07-2011, 09:42 PM)Hi. Vin number is: VF7GjNFUB931424158 cheer.Fuses seem okay, would you have any other ideas why I’m not getting power to the relay mounted in rad housing?cheersYou MRow Wrote: These are the list of engine bay fuses for a new shape berlingo...if you want the exact wiring diagrams/fuses send me on your vin number.